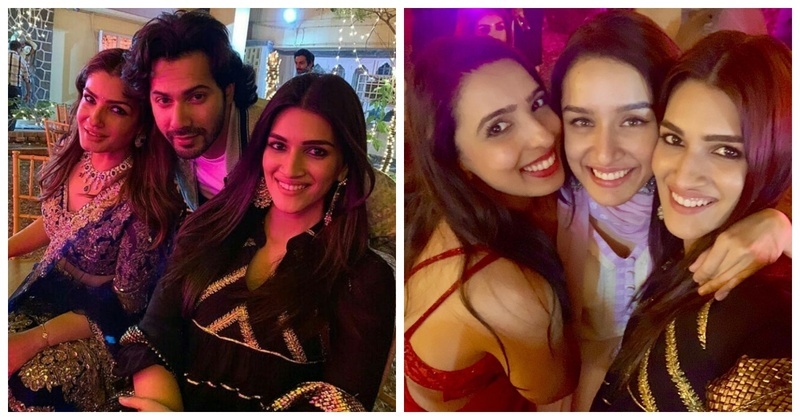 Kriti Sanon, Varun Dhawan and Shraddha Kapoor attend a friends pre-wedding dinner & their pictures are too cute! Its raining celebrity weddings this year! The latest one to tie the knot is producer Dinesh Vijan to a Dubai based real estate agent Pranita Tanwar. He surprised his friends with an impromptu pre-wedding dinner yesterday. It was attended by the likes of Kriti Sanon, Varun Dhawan, Shraddha Kapoor, Raveena Tandon and many more! Scroll down to see who wore what! It was indeed a starry night, yeah?